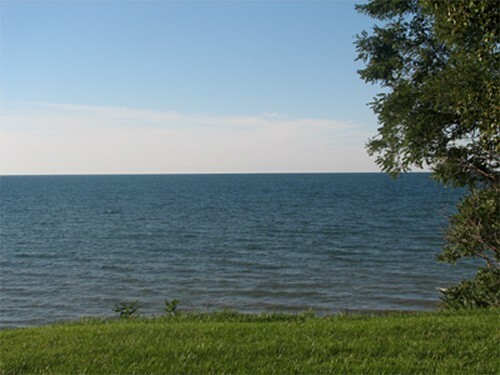 A completely remodeled one/two bedroom cottage with skylights is located right on Lake Erie with a beautifully landscaped lawn leading down to the private beach. 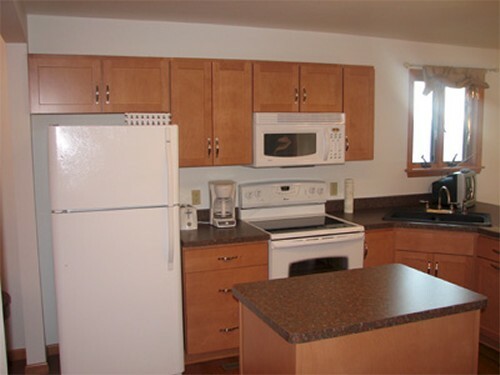 The modern kitchen has an island along with dishwasher and microwave. 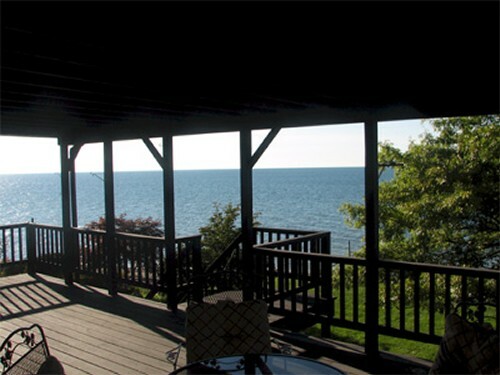 Hardwood laminate flooring throughout gives this cottage a warm, cozy atmosphere with panoramic views of the lake. The 15 x 29 deck has stairs leading down to the yard and beach and is partially covered . 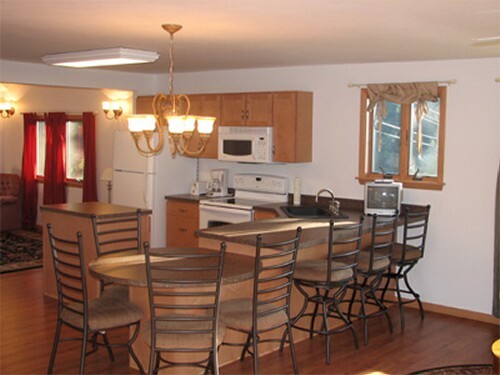 The living / dining and kitchen area are designed with a sleeping alcove with queen sofa bed along with two twin pullouts thereby allowing the cottage to sleep eight. 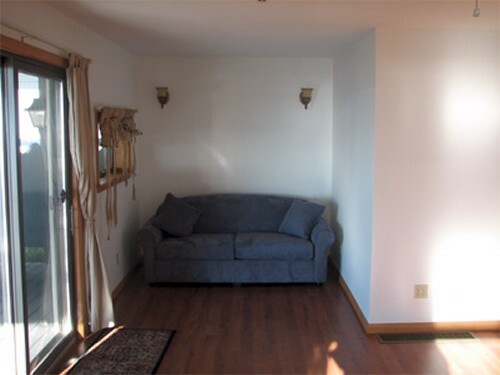 The entry alcove has another sleeping area with queen sofa bed. 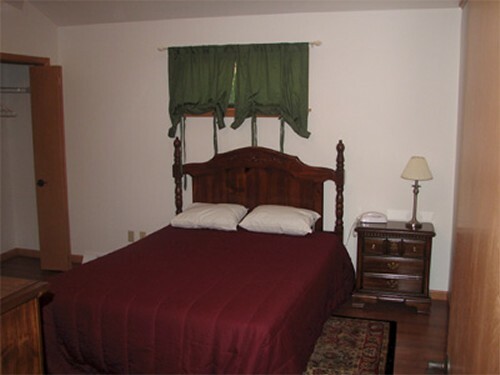 The master bedroom has a queen sized bed, ceiling fan and two large closets. 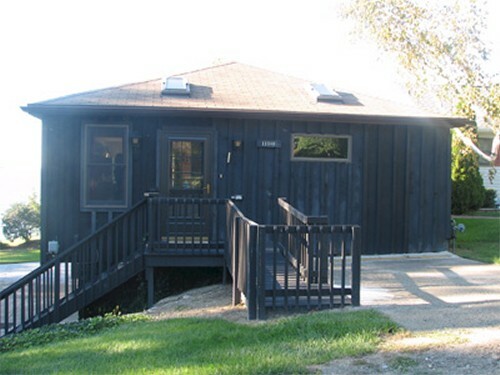 The cottage is approximately one half mile from the Northeast Marina and close to the many wineries in the area. 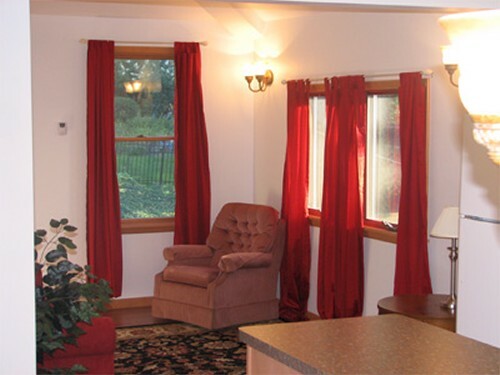 Other amenities include air conditioning, cable TV, wireless internet access, ceiling fan in living room, washer and dryer, easy parking for five to six cars or a boat and access to one of the garage bays.